Vice President Mike Pence also had a one-on-one meeting with Prime Minister Narendra Modi at the White House. 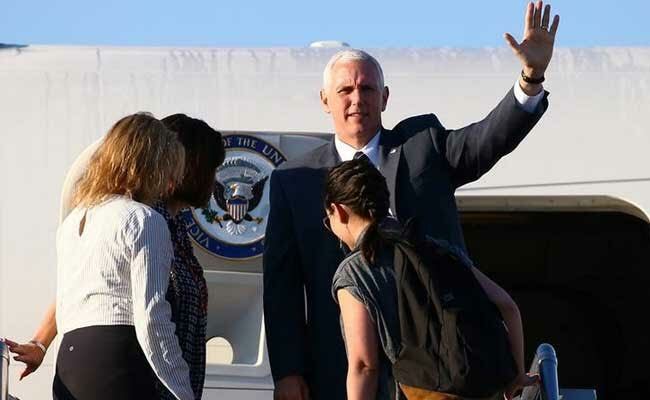 Washington: Vice President Mike Pence has said he is planning to visit India soon and asserted that the Indo-US partnership has never looked brighter with the best days for the two nations yet to come. Describing Prime Minister Narendra Modi's meeting with US President Donald Trump as "historic and productive", Pence said, "Today I say with confidence that our friendship would grow and deepen." Addressing the top business executives of the United States, Pence appeared to be very enthusiastic about the future of the ties between the US and India, which he said can work together for the development, peace and prosperity of the two countries and the world. Pence was addressing the 42nd annual gala of the US- India Business Council (USIBC), the top industry advocacy body of American businesses having a footprint in India. Recollecting President Trump's remarks at the Rose Garden in White House yesterday, Pence said, "India has a true friend at the White House" and so do all the businesses that have gathered at the event. This is an exciting time between the US and India. As President Trump said, the future of our partnership has never looked brighter." Pence also had a one-on-one meeting with PM Modi at the White House on Monday. Pence, who had earlier been the governor of Indiana, told the business executives that Modi told him that "India-Ana means coming to India", with the comment drawing a loud applause from the audience. Pence said he has accepted the prime minister's invitation to visit India. "I was very humbled when the Prime Minister Modi extended a personal invitation to me to represent the United States. And we're already making plans to take it up on his invitation," Pence said. When he was the governor of Indiana, Pence said, he had plans to take a business delegation to India, which he could not do because of the last year's general elections. But now, he said he was hoping to visit India soon. "The bottom line is that the United States and India can deepen our commercial bond in many industries and areas," he said. Pence said the US' relationship with India is one of the most important strategic relationships in the 21st century. "Our two great nations are bound by friendship, by commerce, as partners in the fight against terrorism, and as brother-and-sister in the cause of freedom and our commitment to democracy -- and today, I say with confidence - under the leadership of President Donald Trump, our friendship will grow deeper and our partnership will grow stronger -- for the benefit of both our nations, and all our people," Pence said.